Walter Jay Houghton married Lois Marie Krienke. June M. Houghton married Earl Cooper. Sigrid (?) married Chester William Houghton, son of James Wayne Houghton and Lucinda F. Owens, in circa 1915 age 27 and 22. Loretta Houghton married Robert McCarthy. Death Jun 7, 2007 Kansas City, MO, USA, in a fire at his home. King said it appeared Gerold Houghton, 85, tried to fight the fire, because he was found in the living room with a fire extinguisher in his hands. Having failed, he apparently tried to escape with his wife, Deana Houghton, 77, because the front door was found open, King said. “But he was overcome by smoke and heat,” King said. Deana Houghton was severely visually impaired and had limited mobility, King said. King said the house had poor ventilation, which allowed the fire to burn inside for a long time before a neighbor noticed smoke wafting from the home. Elbert Gerold Houghton married Deana Lucille Molder. Letha May Stubblefield married Asa Lane Houghton, son of George Walter Houghton and Mary Alice Orr, in circa 1911 age 21 and 21. William Paul Houghton married Mary Pauline Sackman. Hildred Jane Houghton married Dr. Raymond Lansing Pendleton in Jul 4, 1936 at Ann Arbor, Washtenaw Co., MI, USA. Linnie M. (?) married Albert Houghton, son of William Houghton and Jane Frances Brown, in circa 1909 age 34 and 22. Albert Marion Houghton married Marguerite Otto. Daniel Roy Houghton married Mary Morris. Mary Morris married Daniel Roy Houghton, son of Charles Hanson Houghton and Jennie D. McNary. Verna May (?) 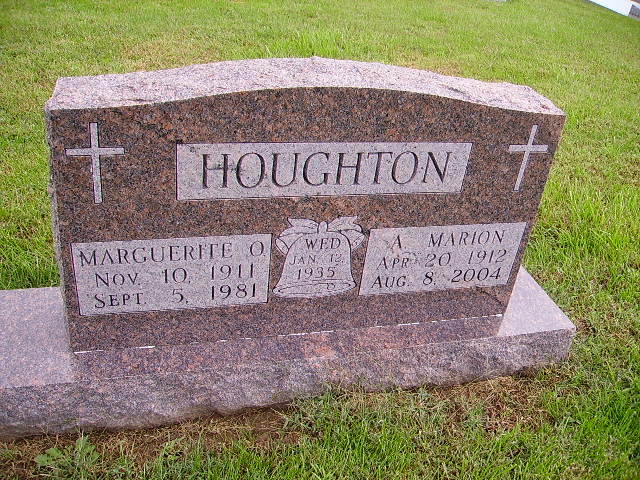 married Wayne J. Houghton, son of George Walter Houghton and Mary Alice Orr. Jennie D. McNary married Charles Hanson Houghton, son of George Walter Houghton and Mary Alice Orr, in circa 1905 age 21 and 19. Charles Hanson Houghton Jr. married Lena Alice Carter. 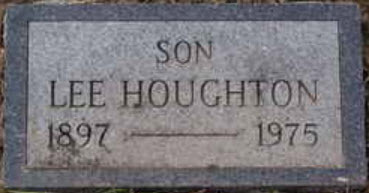 Edgar Lee Houghton married Eula Lorene Cox in circa 1922 age 24 and 25. Eula Lorene Cox married Edgar Lee Houghton, son of George W. Houghton and Anna Belle Ramsey, in circa 1922 age 24 and 25.